As I mentioned in the last post, this is all about winemaker Dave Phinney and the great wines that he has crafted. After tasting the two Grenache/Syrah blends – ABSTRACT & D66 – and the two Zinfandel-based wines – THE PRISONER & SALDO – we moved onto the Cabernet Sauvignons. There are three different Cabs in the Dave Phinney line of wines. First, the 2010 Palermo. This was only the second release of this wine, and was created because more Cabernet Sauvignon grapes were purchased than what was needed for the other two Cabs. So Dave decided to produce this Cab blend and experiment a little with different grape maturity levels, French barrel producers and fermentation techniques. By doing this, it helps create a wine with more complexity and balance. The grapes (78% Cab Sauv/18% Merlot/4% Cab Franc) come from hillside vineyards of Napa Valley and are aged 16 months in 30% new French oak. This wine can be stored 8-10 years and only gets better with age. Retail – $32. 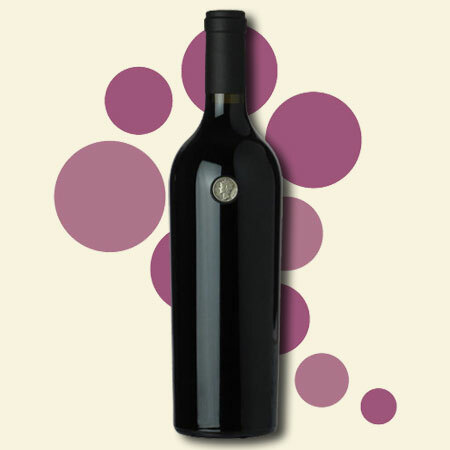 Moving up in quality and price – $55 – is the 2008 PAPILLON, another Napa Valley Cab blend. The grapes come from some of the most acclaimed areas of Napa Valley including Saint Helena, Howell Mountain and Rutherford. Consisting of 78% Cab Sauv/14% Merlot/4% Cab Franc/2% Malbec/2% Petit Verdot, the wine is aged 16 months in French oak. This “big boy” is drinkable for the next eight years. The third Cab is the highly acclaimed 2009 MERCURY HEAD. This is considered the top Dave Phinney Cabernet Sauvignon. You can’t miss the label – an actual Mercury Head dime is the only thing on the front of the bottle. The price is a bit high – $75. But it is comparable to other high end Napa Cabs. It is 95% Cabernet Sauvignon and 5% Merlot and aged 18 months in 30% new French oak. This vintage focused on low yields and highly concentrated fruit. Small berries and smaller clusters got extremely ripe while holding onto bright acidity and mature tannins. There is a lot of flavor and structure in this wine… another “big boy” that is drinkable now and for the next 10 years. The last wine that we tasted was a library wine – meaning that unless you know someone who has it, you’re not going to get it. It was a 1999 Orin Swift Cabernet Sauvignon. I remember that it was not my favorite, but it is always a treat to taste a bit of history, knowing that this was a precursor to a line of great wines. Since the time of the tasting, Dave Phinney came out with a new white blend called MANNEQUIN, selling for $30. It is made up of Chardonnay, Viognier, Semillon, Muscat and Marsanne. I am guessing you may not be too familiar with the last four varietals. But Dave takes these grapes, puts them in 40% new French oak, 40% neutral oak and 20% stainless steel for 14 months, and ends up making a beautiful white wine. The wine came out in the spring and it is now sold out. I did have the pleasure of purchasing a bottle and enjoyed it thoroughly. Based on that experience, I am sure the winery will be adding to the production for next year. The only other Orin Swift wine that I haven’t touched on yet is VELADORA. It is a Sauvignon Blanc from Napa Valley. I have not tasted that wine yet, but I will at some point. Retail – $25. The experience of tasting the wine from a particular winemaker is one that I highly recommend. I find it rewarding to learn about the winemaker and the philosophy that they carry into the wines themselves. Many wineries offer wine tastings, but that may not be practical if you are not in the area. So make a request of your local wine merchant who holds tastings. It’s just another way to enjoy wine, people and the wonderful experience that it offers. NOTE: Much of the information that went into this blog came from www.orinswift.com and other resources. Go to the website for more info as well as tasting notes. Then pour yourself a glass of one of the wines listed above. Will American Wines Be Able to Use The “Château” Mention?